This year’s rankings for professional engineers have been divided into two categories: one for those with a bachelor’s degree and one for engineers with a master’s degree. ÅF took the coveted number one spot for engineers with a bachelor's qualification and was placed second for those with a master’s degree. 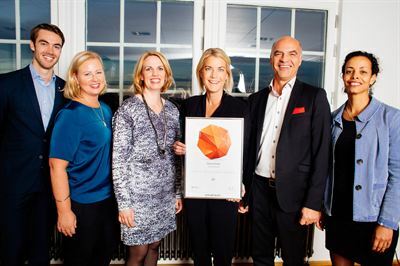 “This is an acknowledgement to all the good work that ÅF employees do around Sweden at events and career fairs, our relationship with potential employees and much more. Together, we’ve developed a very strong employer brand. It’s brilliant!” – William Zahir Gaziza, Project Manager Employer Branding. “This result is very important for strengthening ÅF and our brand, as well as boosting employees’ pride in working at ÅF. It creates significant opportunities for the future.” – Emma Claesson, Vice President HR and Communication. 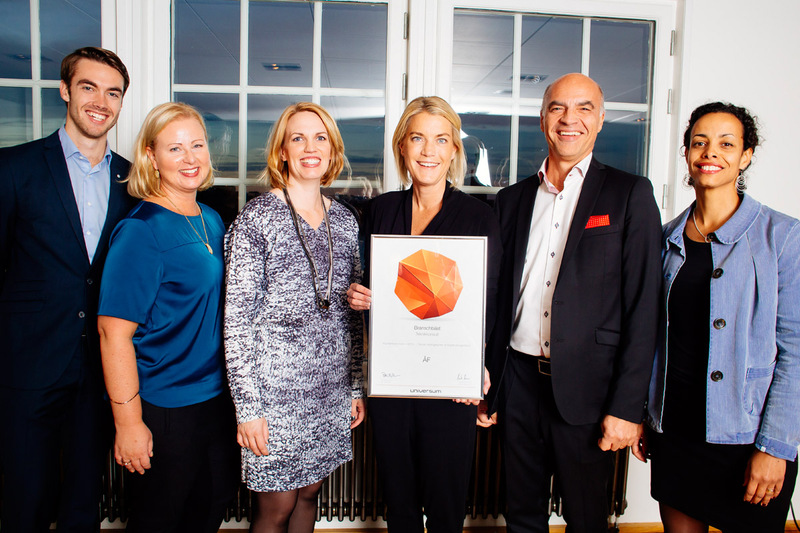 Proud ÅF employees received the first and second place prizes at the Universum Awards on Wednesday evening. The full rankings can be viewed here. For more information, please contact William Zahir Gaziza.